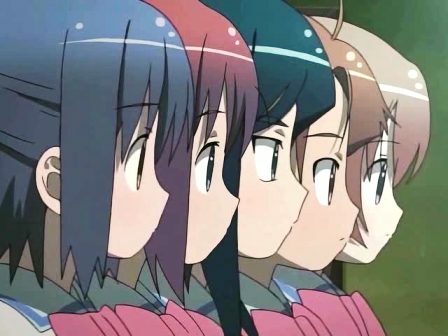 badger11’s take on anime » Gakuen Utopia Manabi Straight! 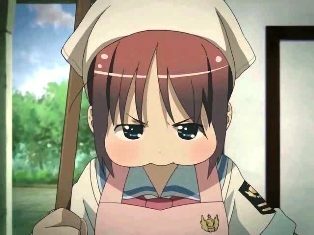 February 21st, 2007 | Category: Anime, Gakuen Utopia Manabi Straight! 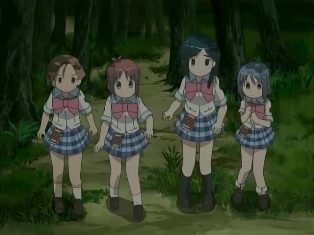 Great montage music in this episode, but I’m surprised that in some ways this show does actually rely on the manic energy of Manabi. While I liked what I saw of Mikan and Mei getting closer as friends, I’d call this more of a filler episode. I enjoyed the music more than the actual story. I blame Nodame Cantabile. 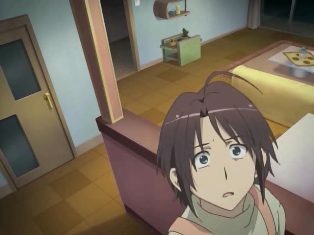 February 12th, 2007 | Category: Anime, Gakuen Utopia Manabi Straight! Mikan: You need a license to process Fugu. I don’t know why episode 4 struck me as having the funniest lines so far (well, those that I can remember) despite the issues that Mei faced. I think it must be Muuchi’s enthusiasm to inflict a potential deadly food choice on her classmates followed by Mikan’s straight delivery. 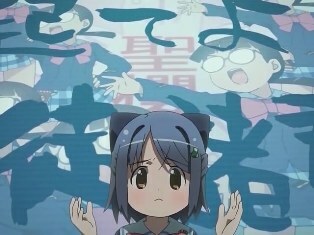 Or maybe it was Manabi’s imitation of Thumper on too much caffeine. I really lost it with Mikan’s enthusiastic belief that the “little people” finished their promotion. Its probably the enthusiasm from the characters that is causing me to enjoy this show with each new episode. 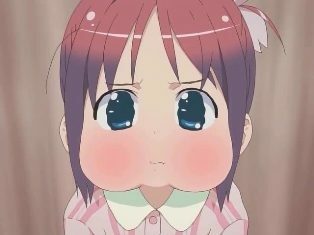 And I like the the facial distortions in these last two episodes. 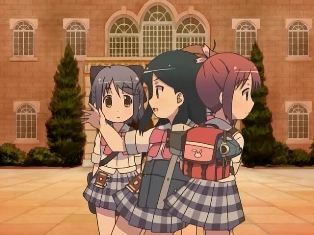 February 03rd, 2007 | Category: Anime, Gakuen Utopia Manabi Straight! I wanted to watch this show because I wanted a light and fluffy show (I thought I had it in Shuffle! Memories, but noooo, they had to bring in a razor blade and more). But I thought this was a 100% loli show and I just wasn’t really interested in that. Until I read Impz’s post. So they’re in high school and I guess the loli-like appearance is just a character design. I need a few more episodes to decide if I want to continue.